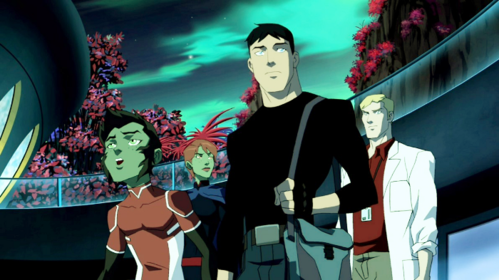 What planet did Miss Martain, Superboy, and Beast Boy go to in "Happy New Year"? YJ High School Never Ends!! Young Justice "Secrets" Review द्वारा Monkey Jim, Puppet Esq!